Get close to nature on a botanical garden tour in Rhode Island. The state has more than just pristine beaches and sparkling oceans. Spend the day exploring beautiful green houses, vast gardens, and breathtaking arboretums in the Ocean State. Here are five to botanical gardens to get lost in. Located right next to the zoo, you’ll love this incredible garden with over 12,000 square-feet of space! 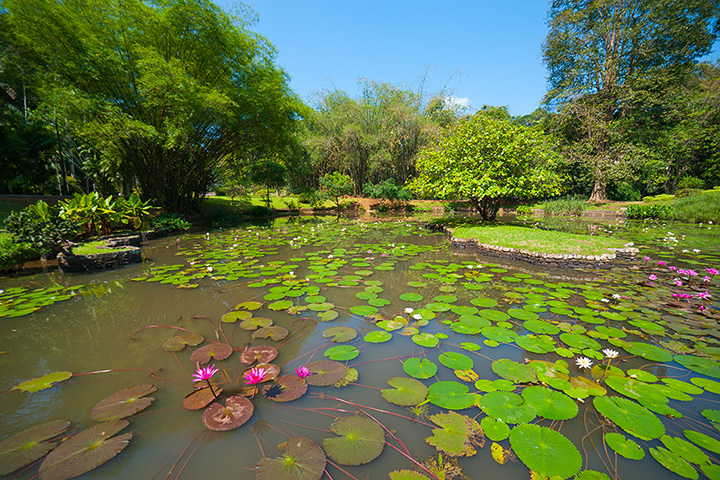 The center is home to a couple of greenhouses, a beautiful fishpond, and some water features. Even better? These places are still a dream to visit in the winter, given that they have so much indoor area. Spend part of your day checking out these beautiful gardens surrounding a charming mansion. Get your fill of coastal views while exploring new types of trees and plants. A bonus tip: It can be a wonderful place for weddings and events! With a whimsical setting, this great garden has beautiful topiary for all to admire. It is located close to the water, so once you’re done with the flowers and gardens, head down to the water to relax some more. Located at the northern tip of the University of Rhode Island campus, this garden is a haven for conservation. Community members can take time to appreciate their diverse array of plant species from all round the world, which have adapted to the Northeast climate. Locals describe this park as the “jewel of Westerly.” It’s a lovely place to take a stroll. Visitors will note how well-groomed this park is, with a great arboretum, too! Bring the whole family, and maybe even bring a picnic. View more Rhode Island Botanical Gardens and Nature Centers.